Now I know how Santa feels. We have spent over 10 hours in the sky today (I am writing this on the airplane), and even though the miracle of flight is still amazing, it’s just a long time on an airplane. By the end it’ll be close to 13 hours on a plane, a few hours in airports, and another 3 hours in the car. The kids have done pretty well all things considered (e.g. early morning, a plane change, and basically just sitting in chairs literally all day). However, at one point about halfway through our flight Avery said, “I want to go outside.” Poor kid. What’s really strange about today is it will be a very long day for us. Flying from Prague to Seattle means we actually gain nine hours of time during travel because of the time zones we cross. So I guess we’re just extending our Christmas Eve to squeeze in more holiday shopping? I’m sure there are a few shoppers out there that would appreciate the extra time more than I will today. 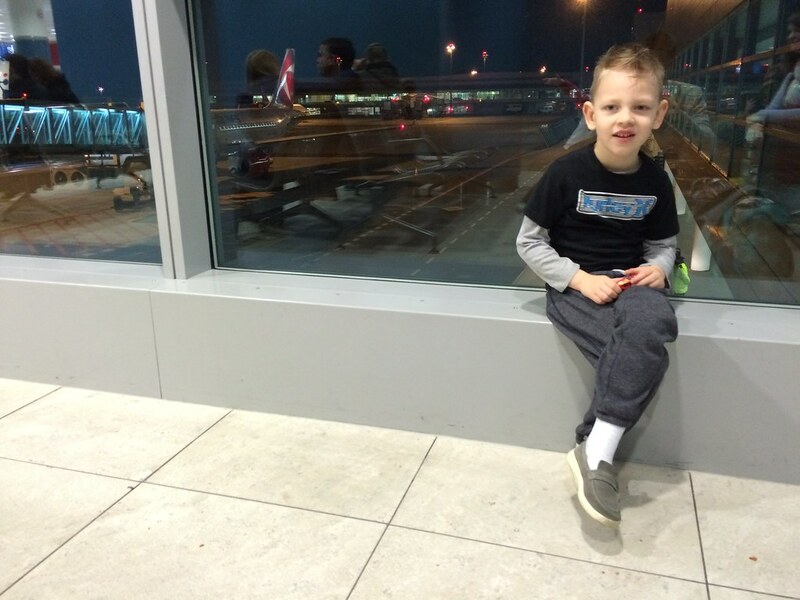 This is Titus in Prague early this morning before boarding our plane. 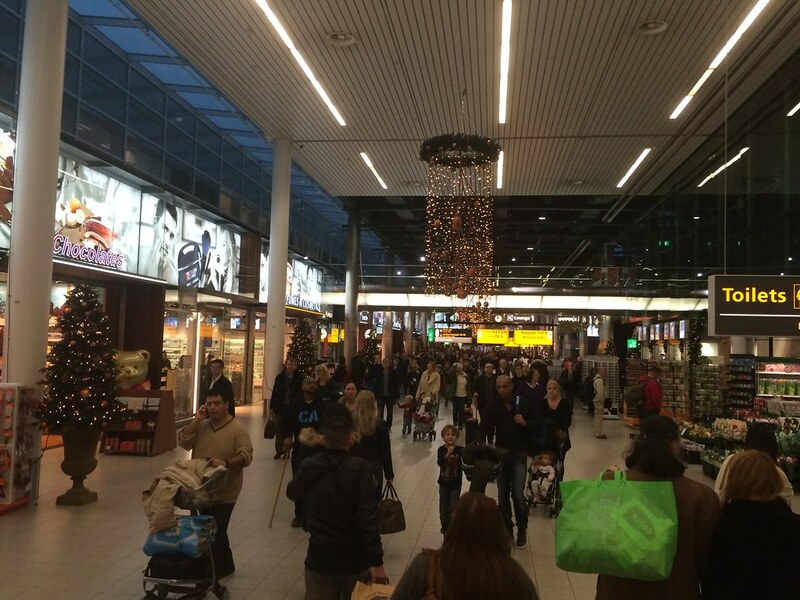 Here’s us walking through the airport in Holland. Bethany is Dutch so it was like she was back with her people (OK, not really, but that’s what I was saying while we were there)! 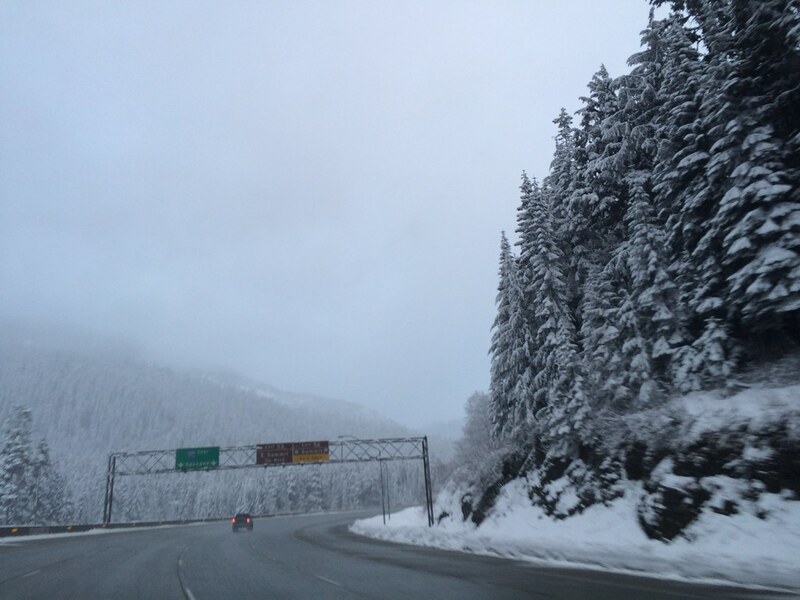 Here’s the snow we saw on the way to Yakima, Washington today. And………. good night!